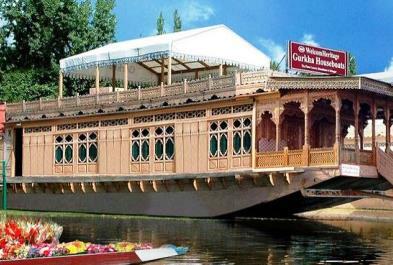 Deluxe Houseboat is located amidst the picturesque environs of Nagin Lake,deluxe group of houseboats consists of tranquil ambiences and serene settings. 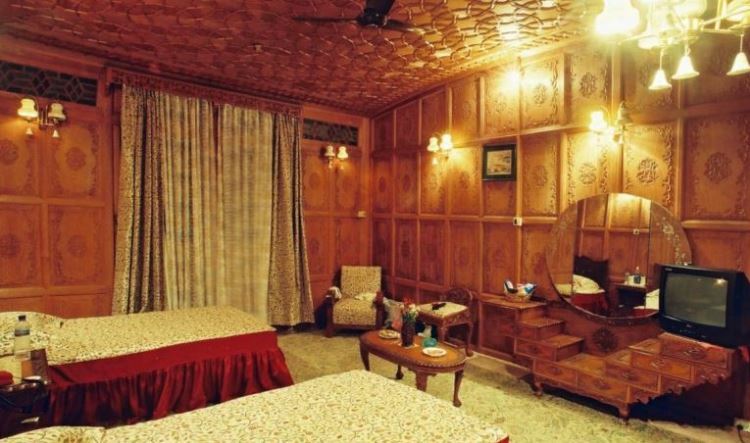 The well-furnished living room gives way to the rooms that contain panelled timber walls and ceilings, and traditional Kashmir carpeting. A unique aspect of the furniture used is that it contains elements of the Victorian style of carving. Extensive terraces with gardens can be used to have a sun-bath or enjoy a cool breeze in the shade of a small canopy in comfortable easy chairs overlooking the lake. Three course meals of a choice of Indian, Continental, and Chinese fare is served in the dining room, along with the unique Kashmiri Wazwan meal. Various facilities can be indulged upon by one including games like badminton, table tennis, volleyball, golf, and a jogging track on site. 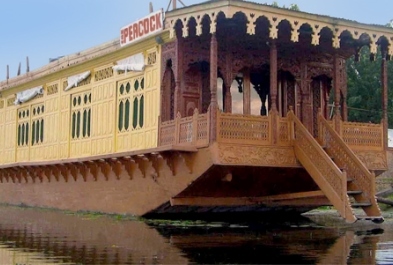 Nearby places for sightseeing include Sonamarg, which is a golden meadow that watches the River Sindh gush by; flowing down from snowy heights into the dense woodlands of fir and silver birches. Glaciers pour down this river from Himalayas on to the many camping sites in Sonamarg, which is also famous for trout fishing. All provide the guest with a feeling of gracious living which is a perfect complement to the rich natural beauty of the surrounding scenery. 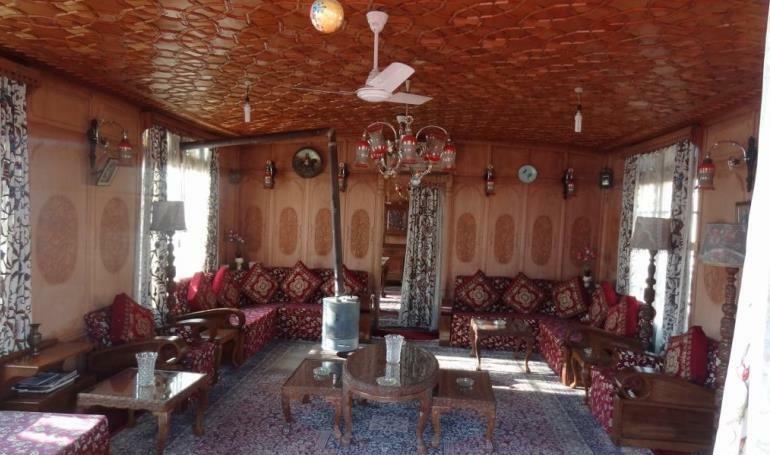 The Houseboats have a sitting room, dining room and one to five rooms. Each bedroom has an attached bathroom and a double and single bed so that it can be used for single, double and triple occupancy. 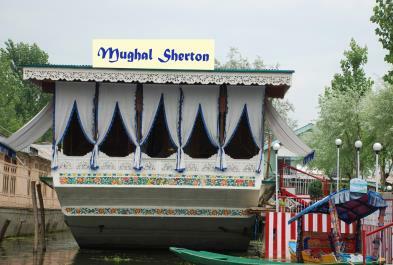 There is also a Special Honeymoon Boat with one bedroom with attached bathroom, one dining room, one sitting room and a veranda. 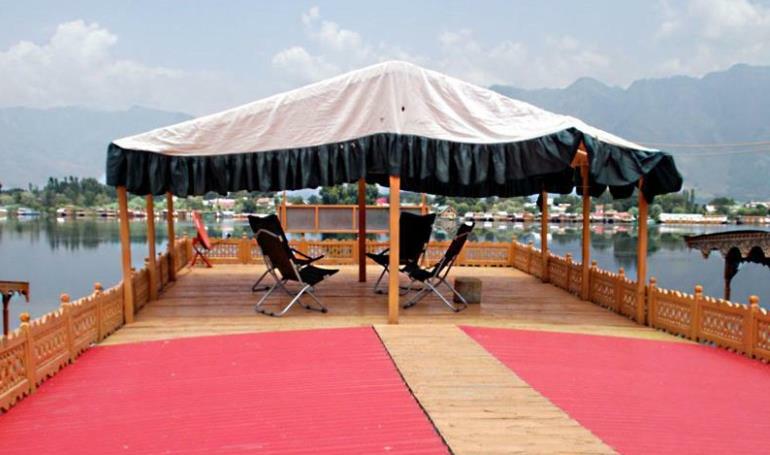 The comfort of veranda at the front of each boat is the perfect setting from which you view the mountains and enjoyed the sun rise and feel it on your body and watch the shikaras skimming silently across the still waters. To complete your pleasure, a personal house-boy is on hand at all times to care for you and ensure your personal comfort.